From the shirt on your back to the shoes on your feet, we've got you covered from head to toe. 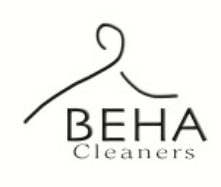 By now, you are probably already familiar with our expert dry cleaning and laundry services. But do you know about the other professional services we provide? We offer Same Day Service (if dropped off by 9am) and Next Day Service at no extra charge at our Louisville location. Our Shelbyville and Simpsonville stores offer 2-day service.